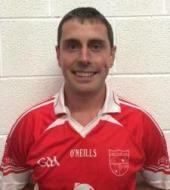 Versatile defender and Mr.Reliable, Ger O'Riordan is a recruitment consultant and weekend farmer. 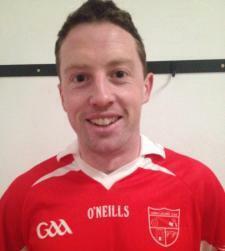 He made his Championship debut against Kilmurry in 2009. Ger''s favourite food is his mother's brown-bread. His favourite movie is The Wind That Shakes The Barley, while his favourite pastimes and sporting interests lie in cycling, soccer, beach volleyball & running around after bullocks/heifers. He considers his greatest sporting achievement to be joining forces with his brother Pa to constantly beat his other brothers Eoin and Daniel out the back at home. His best club memory is winning the Under 12 Mid-Cork Final against Kilmichael - a night he will never forget. Ger considers Seamus Moynihan to be among the best players he has ever seen. If Ger could change one thing in GAA - it would be to have two referees. When he was younger, he wanted to be a dog, as he always thought dogs have a fine life. The person he'd most like to meet is Neilly (Con O'Leary) after we win a Junior B Hurling County, while he considers the best invention ever to be the ball. Marooned on a desert island, Ger could not be without a boat. You may not know this but Ger is secretly good at cutting his father, Dan Joe's hair & doing a good job of it too!